That's right it is that time again. 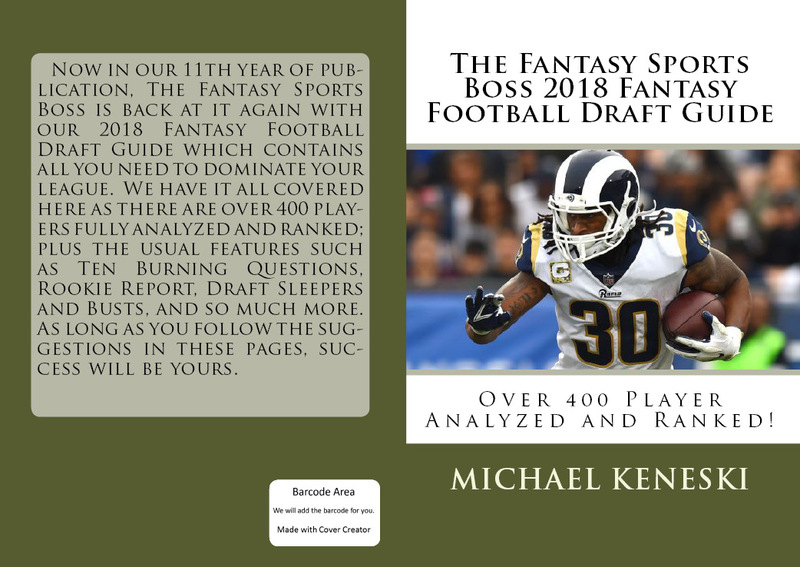 Our 2018 Fantasy Sports Boss Fantasy Football Draft Guide book is ready for purchase. 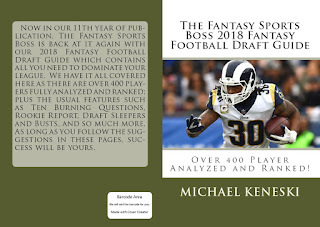 This 100-page book-form draft guide has all the usual trimmings such as sleepers, busts, Rookie Report, Ten Burning Questions, Overrated/Underrated, and of course our position rankings and analysis that go deeper and more lengthy than any other publication. Use the BUY NOW tab below or to the right at the top of the homepage to get your copy with Los Angeles Rams running back Todd Gurley on the cover.